​​​​In arguably the greatest Super Bowl upset since Super Bowl III, Tom Brady and the Patriots took the place of Joe Namath and the Jets as they upset the "Greatest Show On Turf", St. Louis Rams, to capture their first ever Super Bowl title. 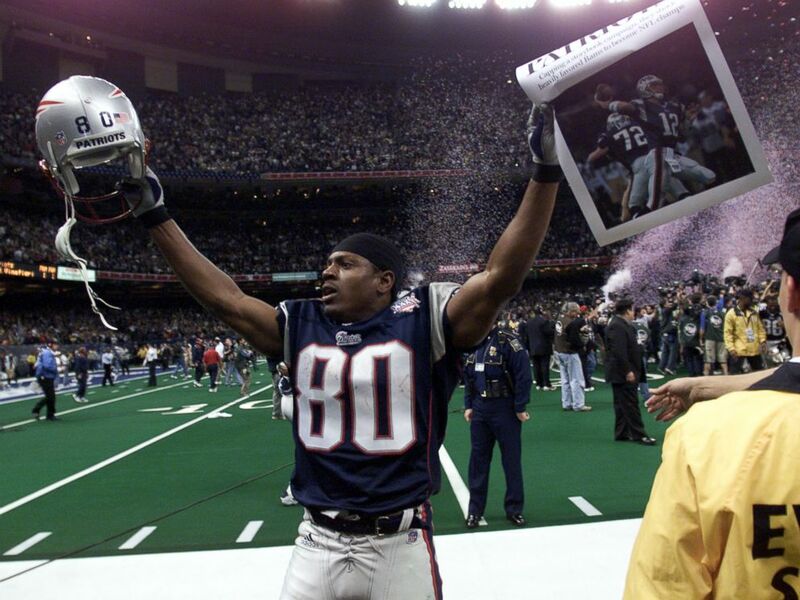 In a game where many thought the Rams would seal their legacy as a dynasty, the Patriots would place the first foundation of what would become their own dynasty, and arguably the greatest run in NFL history. 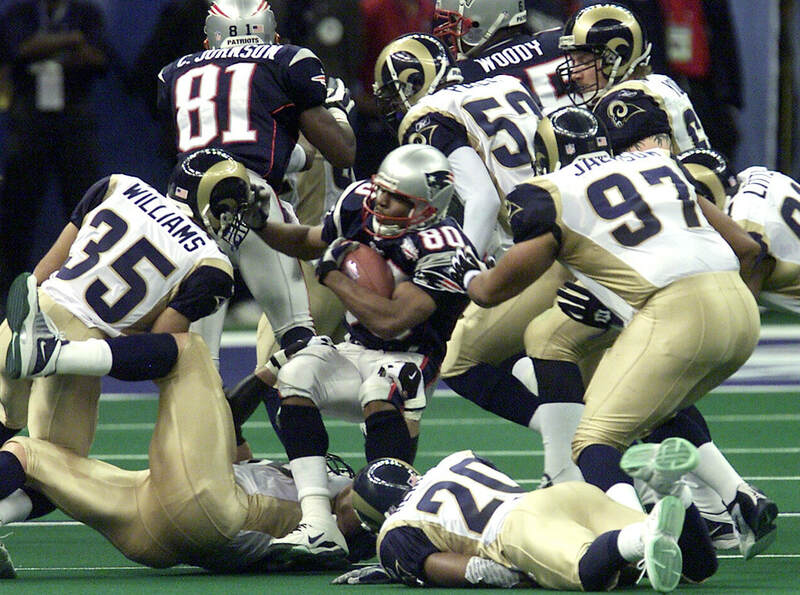 New England and St. Louis had an opening period of "feeling each other out" with the Rams taking an early 3-0 lead, before Patriots' cornerback, Ty Law picked off Kurt Warner and returned the interception 47 yards for the Patriots' opening score, pulling his team ahead, 7-3. 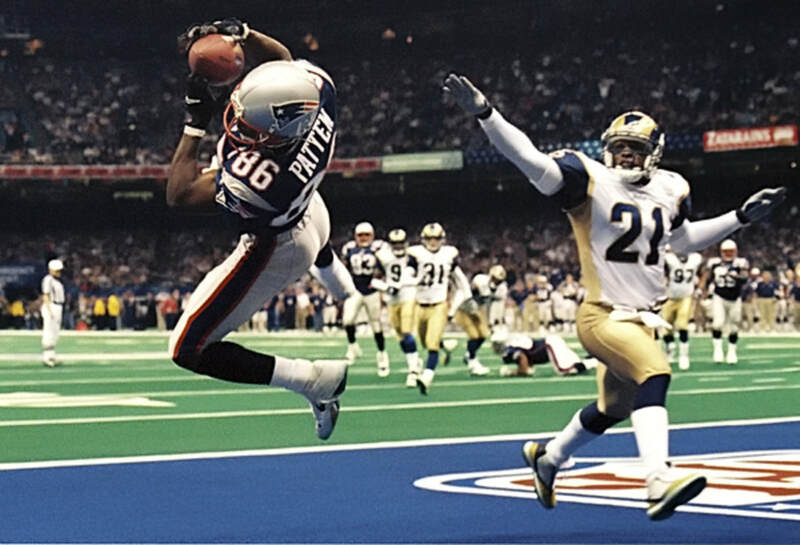 New England would double their lead in the closing moments of the second quarter, when Brady found receiver, David Patten in the corner of the end zone from 8 yards out. 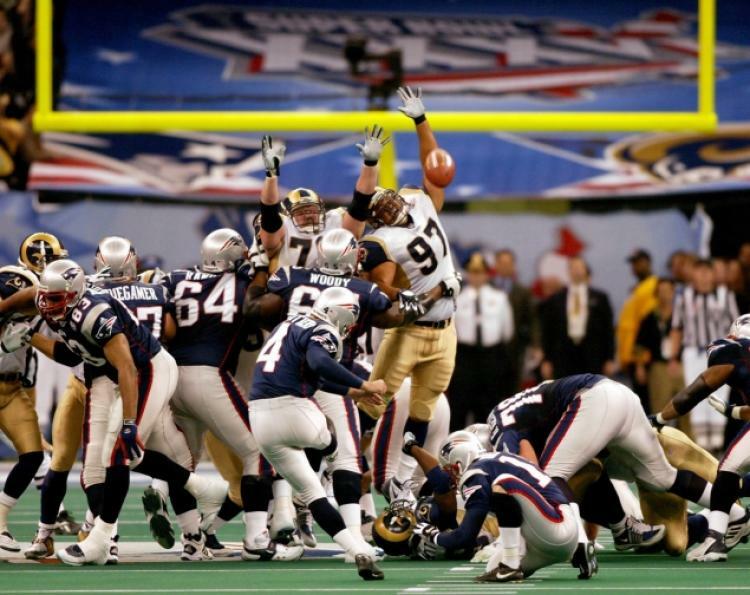 The Patriots would stretch the lead to 17-3 in the third period, before the Rams suddenly began to look like their threatening selves in the final fifteen minutes of play. 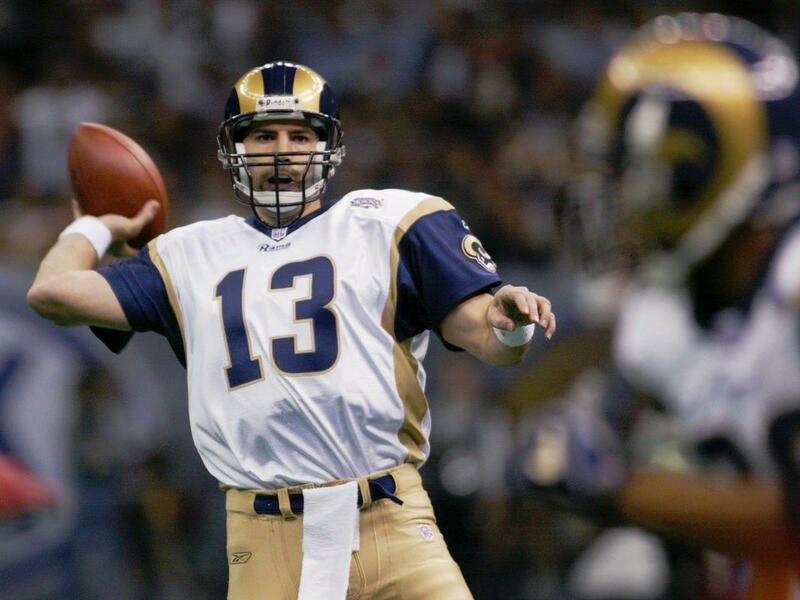 Kurt Warner hobbled over the goal line to make the score 17-10, and after holding the Patriots later in the quarter, Warner would drive his team downfield again. This time, he fired a pass to Ricky Proehl from 26 yards away, tying the score 17-17 late in the contest. 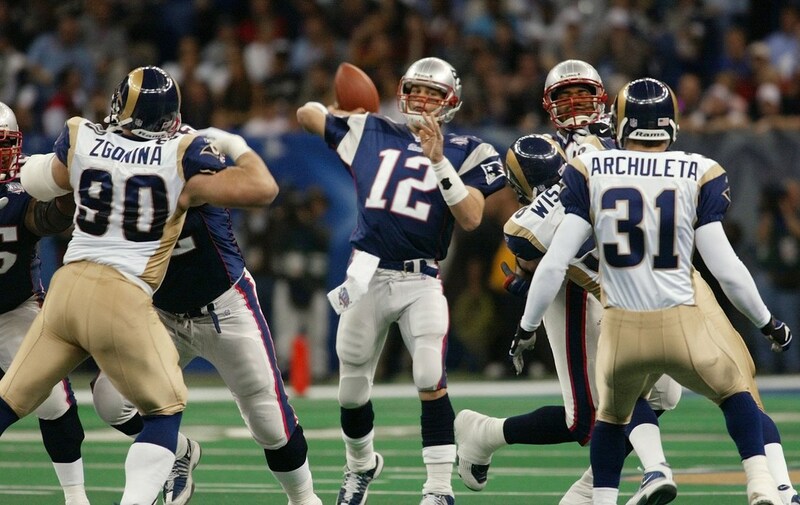 Tom Brady, on his way to winning the MVP award, would guide the Patriots calmly and steadily down the field, spiking the ball into the turf with only seconds remaining to set up Adam Vinatieri to win the game from 48 yards away. His kick was good, and the upset was complete. 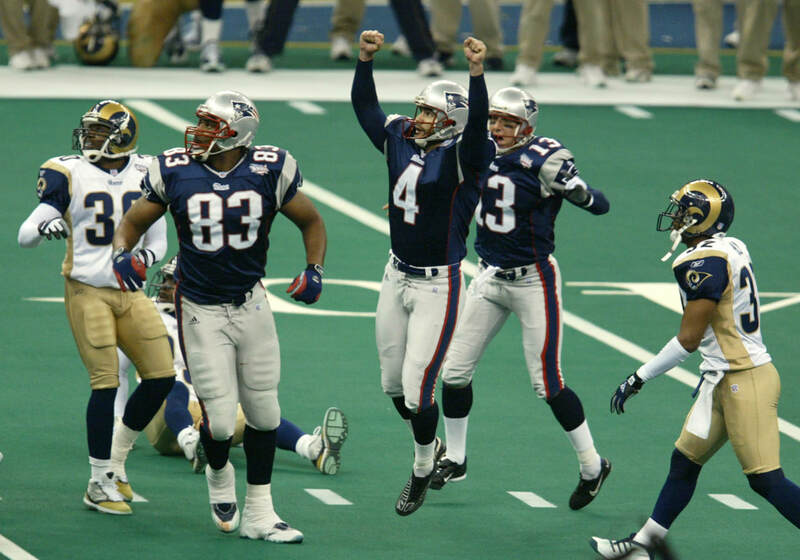 Super Bowl XXXVI was the first Super Bowl to be contested in February. 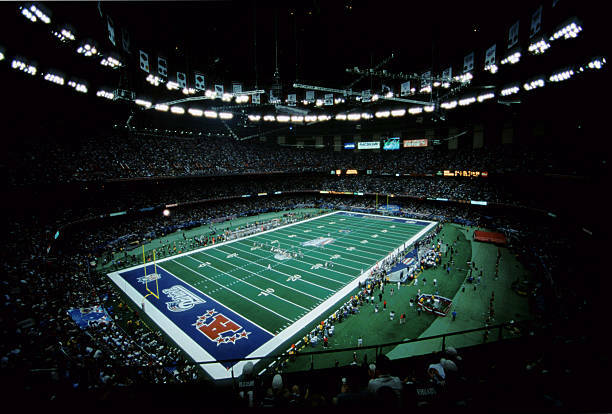 The first Sunday in February is now the traditional Super Bowl Sunday.